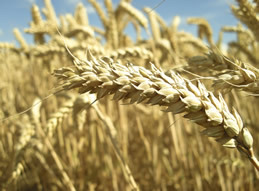 Gluten is a protein found in wheat that can cause damage to the lining of your intestines if you have celiac disease. Gluten has also been known to cause bloating and discomfort in people without celiac disease too. In this brief and informative article, I will share 3 important steps that can help you eliminate gluten from your diet, so you can put intestinal pain into remission. These 3 steps will also guide you in the direction of eating healthier whole foods, so you can lose weight and live healthier. Are you ready for the first step? Many of us have a pantry and fridge full of food. Check the labels for wheat and white flours. You’ll also need to get rid of, or donate all of the bread you have. Since 80% of packaged foods on the grocery store shelves contain gluten, you should avoid them as best as possible. Now that you’re kitchen is free of gluten, it’s time to stock up on foods that will nourish your body, and eliminate any health issues you’ve been experiencing with gluten. As you’re becoming gluten free, would you agree that you don’t want to accumulate belly fat around your waist? This final step is very important to your health. You must avoid “gluten free” labelled foods so you can maintain your current weight, or lose weight if you want to. The reason gluten free foods cause weight gain is because they’re empty carbs. Next time you read a gluten free labelled food, look for tapioca, potato, rice, or corn starch. These starches can cause your blood sugar levels to surge, which results in unwanted weight gain around your waistline. Now that you know you need to choose gluten free foods, that are not labelled “gluten free”, you’re one step closer to becoming healthier, reducing gluten, and putting out the fire of inflammation throughout your entire body.